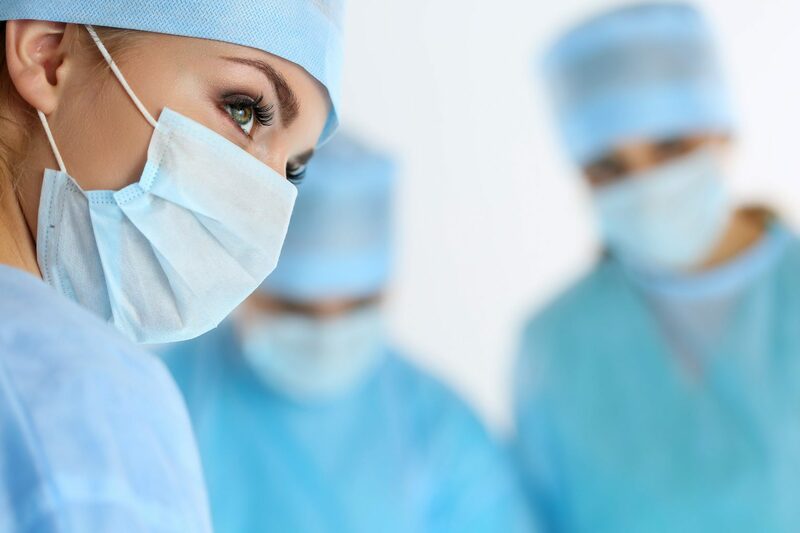 We specialize in Minimally Invasive Surgical techniques to provide the best treatment for our patients in need of care. Hernias occur when tissue or an organ pushes through a weak spot in the abdominal wall. 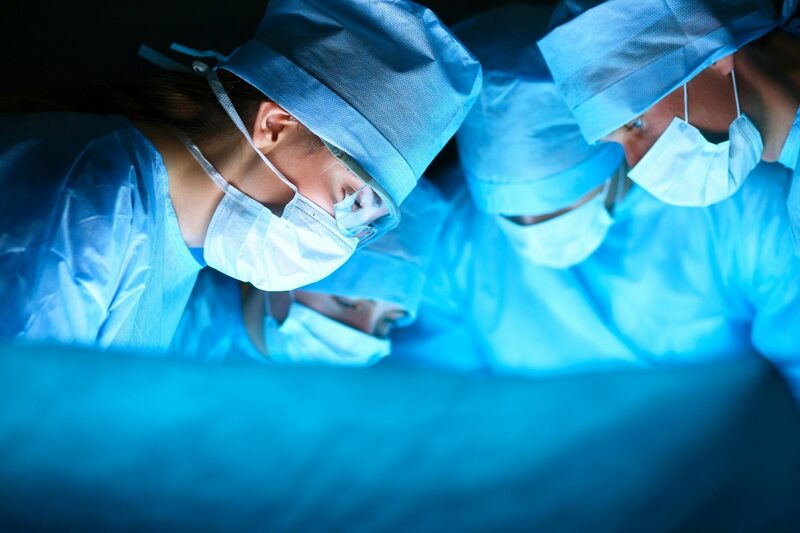 Colorectal surgery is ideal for treating conditions ranging from cancer to painful hemorrhoids. 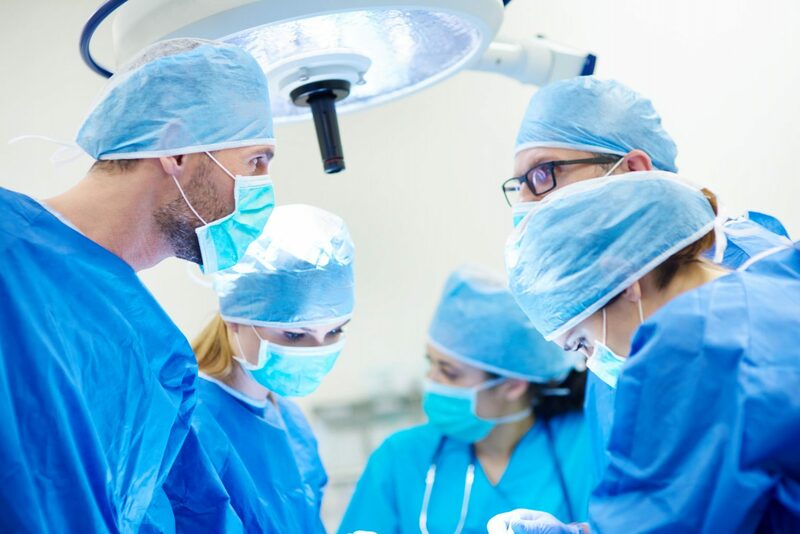 Endocrine surgery involves surgery on hormone-producing glands that include the pancreas, the adrenal glands, the thyroid, and the parathyroids. Bariatric surgery is used to assist in weight reduction for persons who are obese. An inguinal hernia occurs when tissue, such as part of your intestine, pushes through a weakened area in the groin; resulting in a bulge. Breast cancer is the most common cancer in women, affecting one in eight women in their lifetime. Fortunately, it is usually fully treatable. Gallstones form when cholesterol and bilirubin form crystals in the gallbladder. These can grow over time, and increase in number. Colon and rectal cancers are among the world’s most commonly diagnosed cancers. They are more common in people over the age of 50 years old. A number of people suffer from indigestion and heartburn that is caused by gastroesophageal reflux disease (GERD). 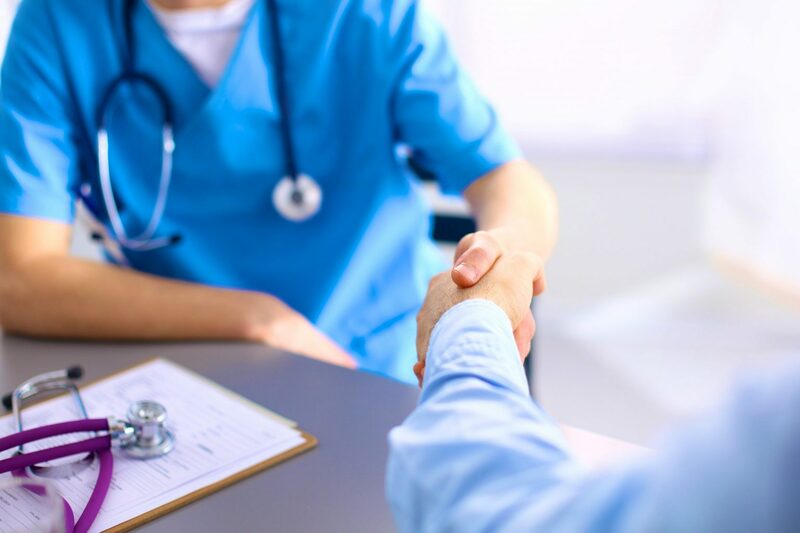 Committed to providing compassionate, quality healthcare. 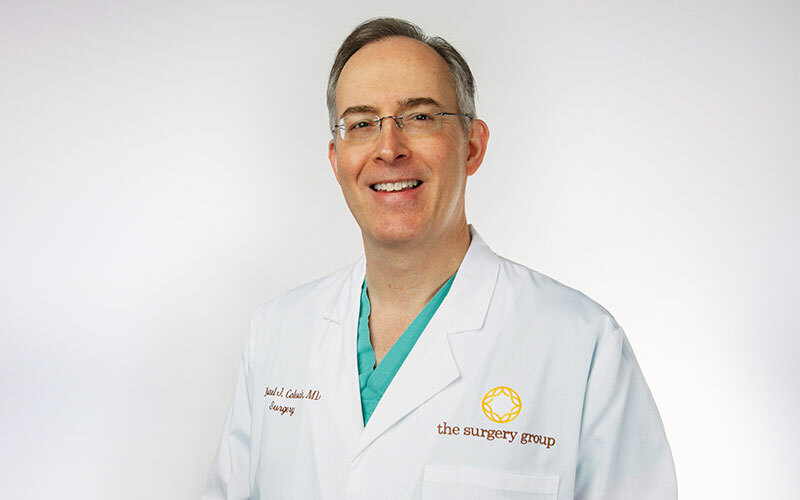 With a strong focus on minimally invasive and laparoscopic surgery, he believes everyone deserves comprehensive treatment and patient-centered care. 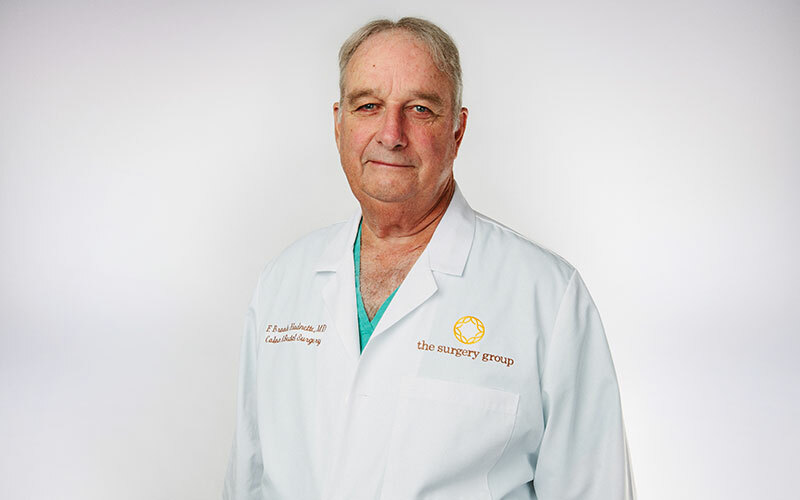 One of the founders of The Surgery Group, Dr. Rubey has served as president of the group for the last 12 years. 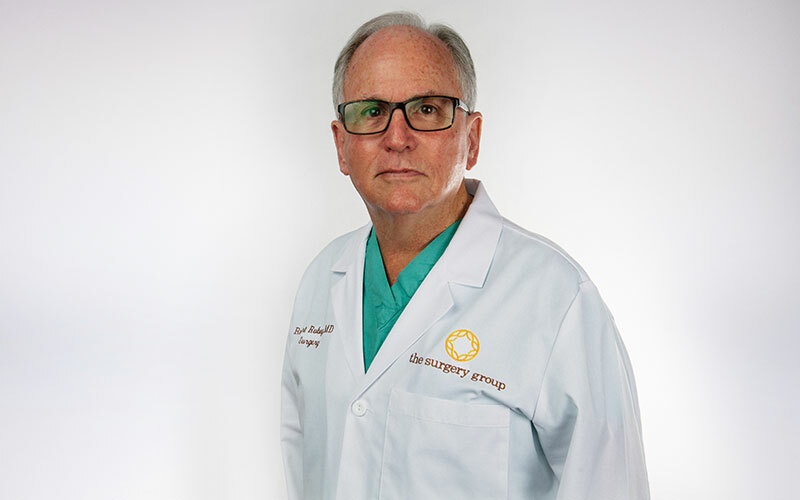 Dr. Rubey was born in Mobile, AL. 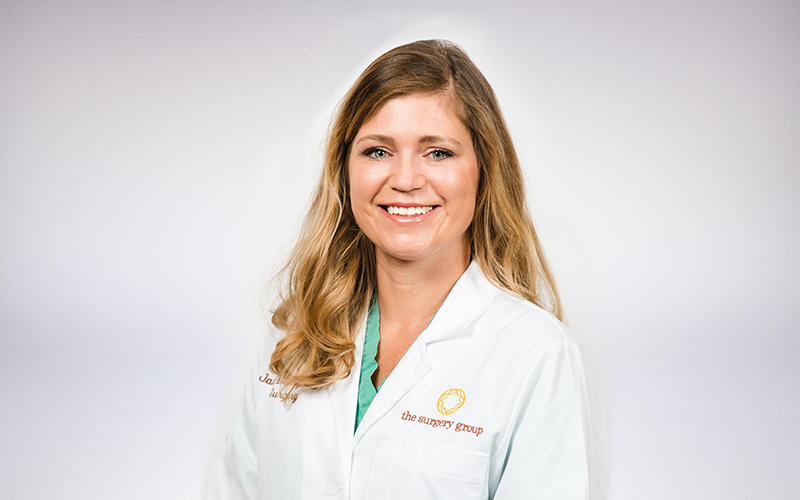 Dr. Caluda joined The Surgery Group in 1998 and is a lifelong resident of northwest Florida. He is an expert in the laparoscopic and robotic treatment. 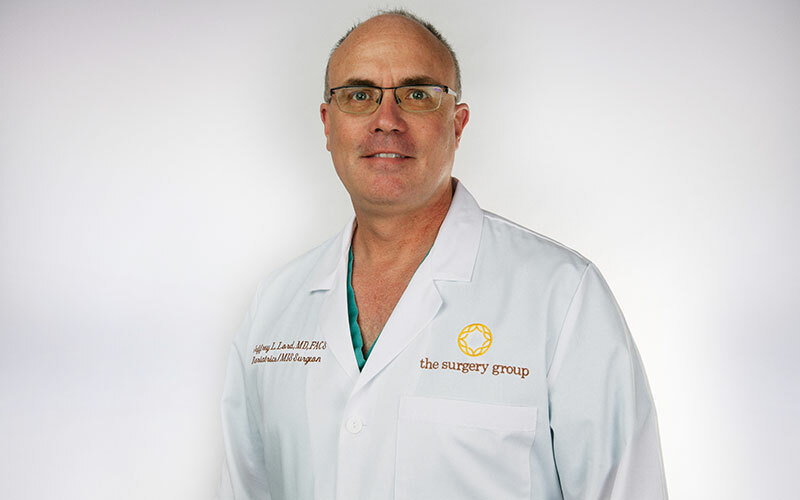 Dr. Hodnette was previously President of the Medical Staff at Baptist Hospital, Chief of General Surgery at both Baptist and Sacred Heart Hospitals. 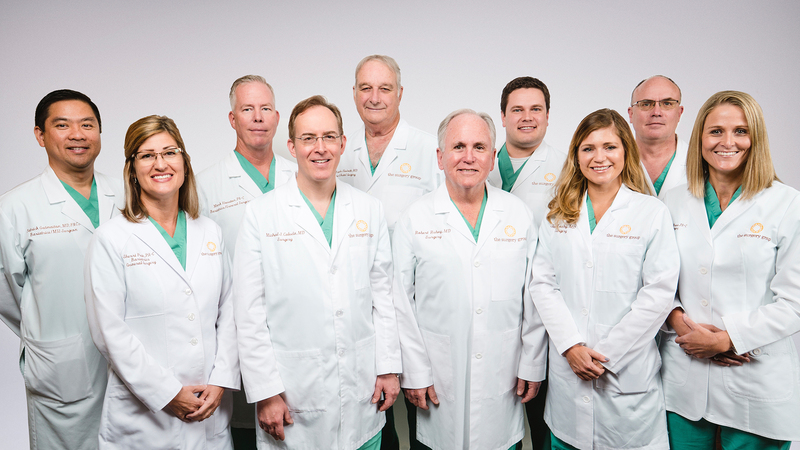 Our mission is to provide the highest-quality surgical care to our patients and the highest-quality consultative services to our referring physicians. Dr. Gatmaitan has truly changed my life. The staff is amazing and extremely helpful. 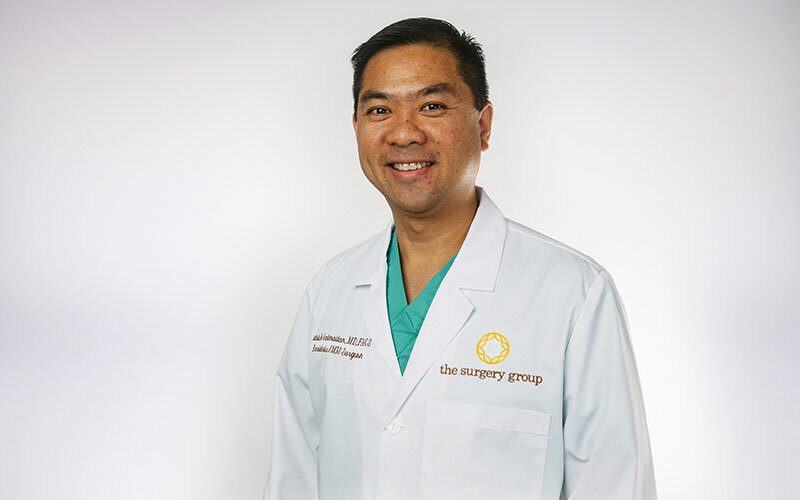 Deciding to have bariatric surgery is not an easy decision and is a very personal journey, but Dr. Gatmaitan and his team listened to all of my concerns, answered every question I had, and made sure I had realistic expectations going into surgery. Since surgery six months ago, I’ve lost 60ish percent of my excess weight. It’s been amazing. I would do everything all over again, and ask for Dr. G every time 🙌🏼. My own bariatric surgeon would not listen to me. Days after my surgery I became very ill.This went on about three weeks.Fortunately Dr.Lord was covering for him when he went on vacation, and he did listen to me. He ran some test and determined I had a complete bowel blockage.He performed emergency surgery on me. My intestines literally fell apart in his hands. Days later he told me how dire my situation really was.That was in 2013. There is not a day that goes by that I don't think about him.I always tell every one the Lord saved me twice that night. The Lord above and Dr. Lord my hero. Very kind and helpful. Didn’t have to wait too long. I have been a patient of Dr. Caluda and also get to work with him every week and his partners. The office is great to work with and very friendly! I actually used to work for The Surgery Group and they are all awesome!! Such a treat to see Dr. Hodnette again, and Dr. Rubey actually saved my mom's life!! 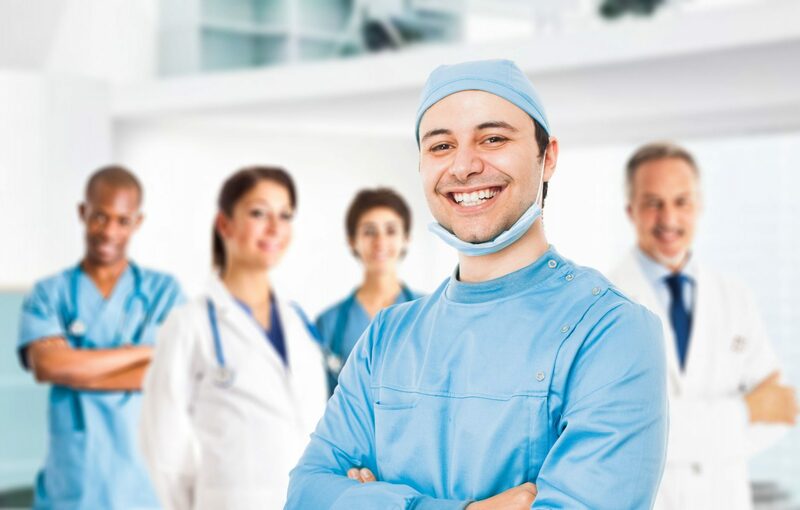 Dr. Caluda & staff are the best & very caring people. Been going there since he did my breast cancer surgery in 2013. The wait was long, but I work in the medical field and know it's to be expected. 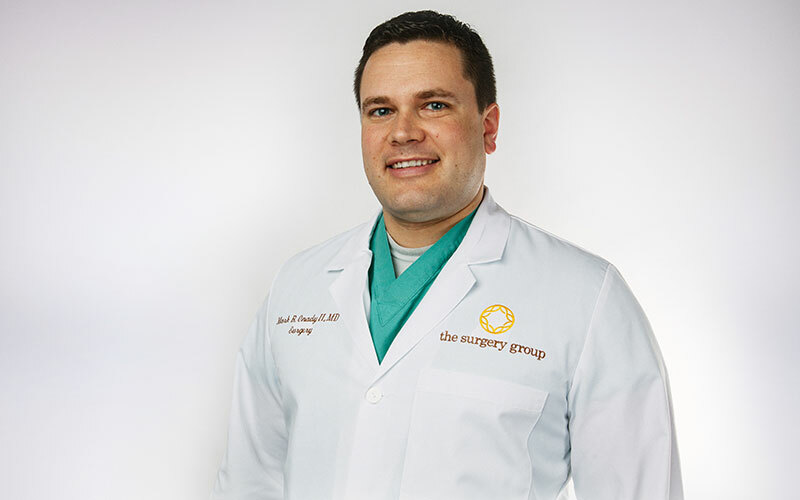 Dr. Caluda was friendly, courteous, respectful, and knowledgeable. His MA Maggie was very nice and Darcy the surgery scheduler was sweet and helpful. I hate the circumstances under which we met, but I feel comfortable in their hands.